Born in 1982, now 38 year-old, PROMETHEE is returning to the land of his ancestors: Greece… well, actually Crete! The PROMETHEE Days 2018 workshop will take place in Heraklion on May 22-25, together with the ICDSST 2018 meeting of the EURO Working Group on DSS. It will certainly be a very nice meeting with a PROMETHEE Days stream including 17 papers, 2 invited speakers and a panel discussion on “Ethics & Decision”. The 1st PROMETHEE Academy will take place at GERAD in Montréal on April 29-30, just a few days before the PROMETHEE Days 2016 meeting. It is a 2-day course on MCDA, the PROMETHEE methods and the Visual PROMETHEE software. Participants will learn how to better use the PROMETHEE methodology and the software. They will also receive a free Visual PROMETHEE Business Edition license. It is still time to submit your work for presentation as the submission deadlines for both PROMETHEE Days 2016 (Montréal, May 2-4) and EURO 2016 (Poznan, July 3-6) have been extended to March 15. 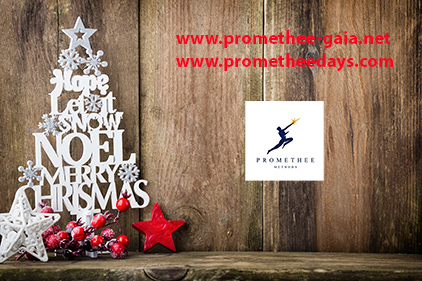 Check http://www.promethee-days.com for information and registration to PROMETHEE Days 2016. Check http://www.euro2016.poznan.pl for the EURO 2016 conference and don’t forget to use the submission code 68453319 to submit your abstract for the invited PROMETHEE session. That’s the last call… Hurry and make your abstracts ready! I am looking forward to see you and to learn more about your PROMETHEE research soon in Montréal and/or in Poznan. The EURO 2016 deadline for abstract submission (March 1st) is approaching and it is now time to get ready to attend this major OR conference. Navigate to the abstract submission page. I am looking forward to meet you in Montréal in May and in Poznan in July. It is still time to submit a paper for the PROMETHEE Days 2016 and to compete for the J.P. Brans PROMETHEE Award. Indeed the paper submission deadline has been extended to February 29 to match the Optimization Days 2016 general deadline. The PROMETHEE Days 2016 workshop will take place in Montréal from May 2 to 4, 2016, together with the Optimization Days 2016 International Conference. It is organized by my long-time friend Jean-Philippe Waaub (UQAM, CA) and it is a great opportunity for you to share your PROMETHEE experience with PROMETHEE Community’s fellows in one of the nicest places in North America. Papers related to theoretical developments, comparative analyses or practical applications of the PROMETHEE multicriteria decision aid methods are welcome. The best paper presented during the workshop will be granted the « Jean-Pierre Brans PROMETHEE Award » and all participants will have the opportunity to submit full versions of their papers for a special issue of the International Journal of Multicriteria Decision Making. Don’t forget to submit your paper and be sure to use the specific PROMETHEE Days 2016 submission form rather than the general Optimization Days 2016 form. I am looking forward to meet you in Montréal next May. Don’t hesitate to contact me if you have questions or need more information. The PROMETHEE Jean-Pierre Brans Award will honor the best paper presented at PROMETHEE Days 2016. Will you be the 3rd Award Winner? The PROMETHEE Bibliographical Database now includes 1236 references by 2138 authors from 75 countries.